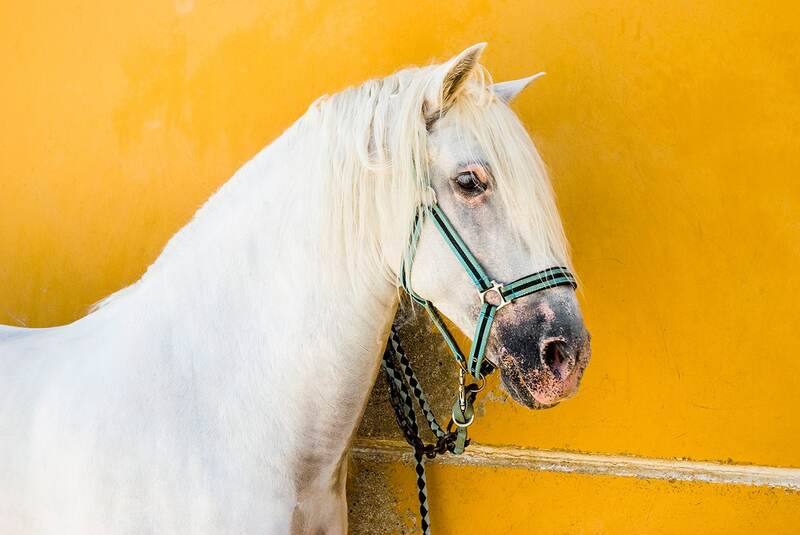 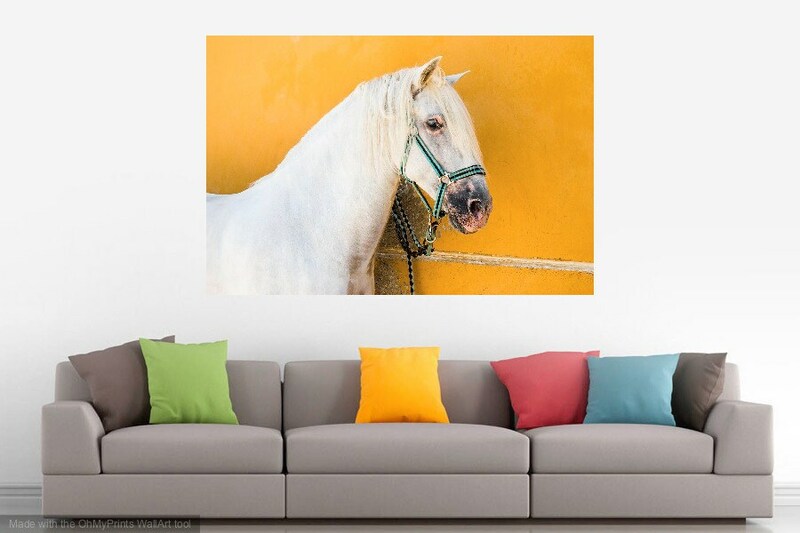 A beautiful white Spanish horse standing in front of a yellow wall in Jerez, Spain. 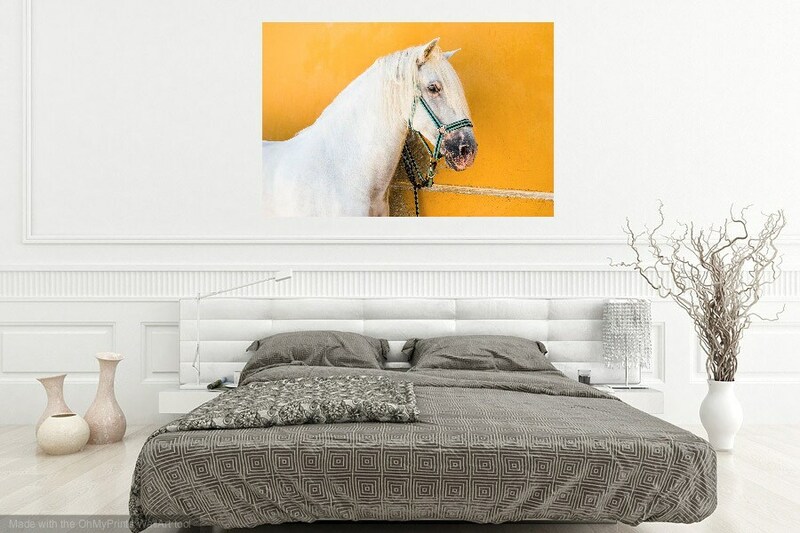 Photographed By National Geographic Award winner Andrew Lever. 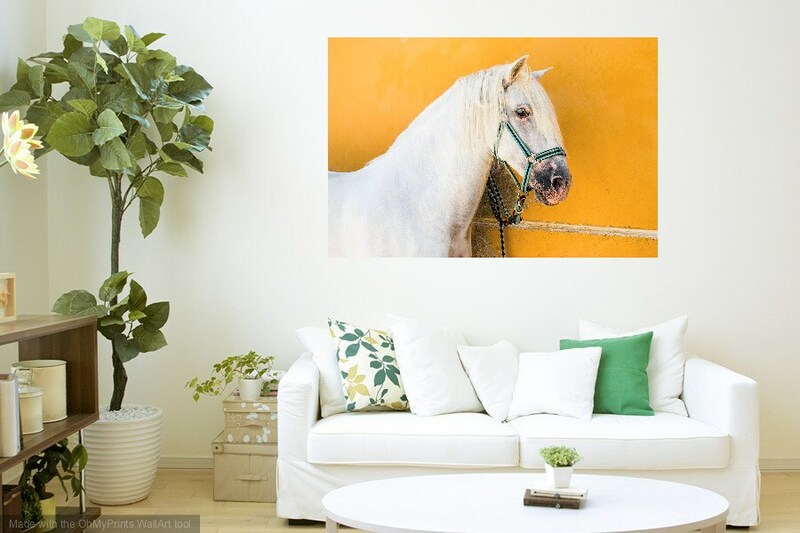 Limited Edition Print 3 / 30, C Type Print signed on the back.